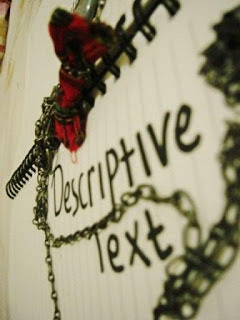 Descriptive Text atau Teks Deskriptif merupakan salah satu teks yang digunakan oleh siapapun juga untuk digunakan pada saat menjelaskan sesuatu hal secara detail dan spesifik. Biasanya teks ini digunakan saat menjelaskan benda benda tertentu, orang orang tertentu seperti teks descriptive untuk menjelaskan orang terkenal. Selain itu juga bisa digunakan untuk menjelaskan hewan tertentu dan spesifik, contohnya sih Teks Descriptive tentang hewan peliharaan. Bagi kalian yang memang masih kebingungan dalam membuat suatu contoh teks ini, maka perlu diketahui tentang bentuk struktur dari teks ini. Identification – merupakan penjelasan secara umum, gambaran secara umum tentang apa yang ingin dibahas. Description – merupakan lanjutan dari identification yang mana merupakan penjelasan mendetail mengenai benda, hal yang diulas, ataupun fenomena yang dibahas secara detail. Contoh semisal kucing hitam bernama anita, dijelaskan kucing tersebut perbagian dimulai dari warna bulu, makanan kesukaan, hobi dia, dan seterusnya. Berikut ini adalah beberapa contoh dari Descriptive Text dalam bahasa inggris dengan artinya. Namun jika tidak ada artinya berarti penulis belum menambahkan arti arti dari setiap teks. Meskipun demikian tidak semua penjelasan diberikan tambahan arti. 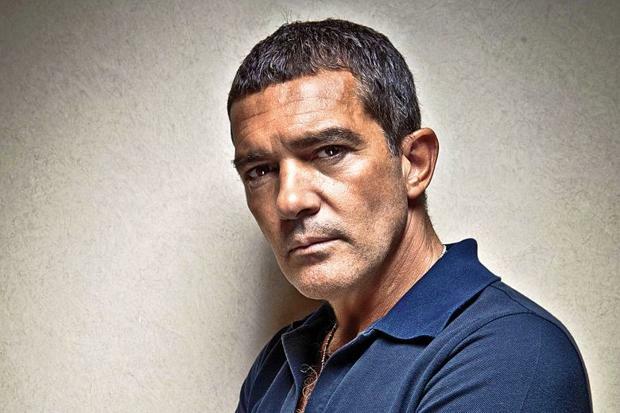 His name is Antonio Banderas, Antonio Banderas is my classmate, he has really tall body, he is 180 cm, he has curve black hair, he has oval face, he has green small eyes, he has pointed nose, he has thick lips, he has dark brown skin, he has thin body, he always wears white shirt, he is kind, he is smarter than me, he is helpful, he is generous, and he is dilligent. Nama dia Adalah Antonio Banderas, Antonio Banderas adalah salah satu teman saya. Dia mempunyai tubuh tinggi, dia 180 cm, dia mempunyai rambut hitam, dia mempunyai wajah oval, dia mempunyai mata berwarna hijau, dia mempunyai hidung yang mancung, dia mempunyai bibir yang tebal, dia juga mempunyai kulit coklat, dia mempunyai tubuh yang kurus, dia selalu menggunakan kaos berwarna putih, dia baik, dia lebih pintar dari saya, dia penolong, dia pemurah, dan dia rajin. 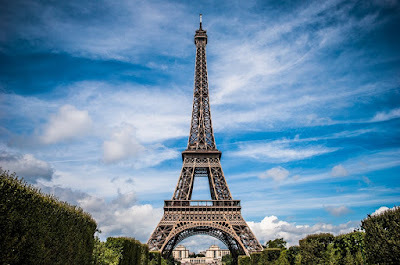 The Eiffel Tower is an iron lattice tower located on the Champ de Mars in Paris. Built in 1889, it has become both a global icon of France and one of the most recognizable structures in the world. The tower is the tallest building in Paris and the most-visited paid monument in the world; millions of people ascend it every year. Named for its designer, engineer Gustave Eiffel, the tower was built as the entrance arch to the 1889 World's Fair. The tower stands 324 metres (1,063 ft) tall, about the same height as an 81-story building. Upon its completion, it surpassed the Washington Monument to assume the title of tallest man-made structure in the world, a title it held for 41 years, until the Chrysler Building in New York City was built in 1930; however, due to the addition in 1957 of the antenna, the tower is now taller than the Chrysler Building. Not including broadcast antennas, it is the second-tallest structure in France after the 2004 Millau Viaduct. The tower has three levels for visitors. Tickets can be purchased to ascend, by stairs or lift, to the first and second levels. The walk to the first level is over 300 steps, as is the walk from the first to the second level. The third and highest level is accessible only by elevator. Both the first and second levels feature restaurants. 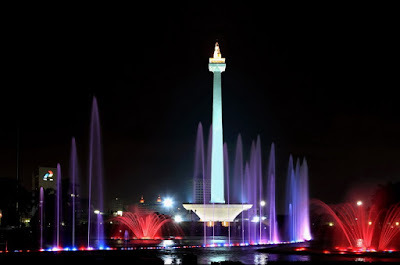 Monas National Monument is a 132-meter tower in the center of Merdeka Square, Central Jakarta, Indonesia Jakarta, is the capital of the state. It symbolizes the struggle for Indonesian independence of our country. The monument consists of a 117.7 m obelisk on a 45m square platform at a height of 17 m. Towering monument symbolizes the philosophy of Lingga and Yoni. Resembles a phallus, or pestle mortar pestle and Yoni resembles rice or mortar, two important things in the tradition of Indonesian agriculture. Construction began in 1961 under the direction of President Sukarno, the first president of the us and the monument was opened to the public in 1975. It is topped by a flame covered with gold foil, and now the monument calls. Mrs. Debby Magdelena is one of the successful carrier woman. She is the new sales manager for Jakarta sales office of Le Meridean Nirwana Golf and Spa Resort. Mrs. Debby Magdalena holds her new position as from Marc 2nd, 2009. Prior to her assignment at Le Meredian Nirwana Golf and Spa Resort, she was the sales manager at Novotel Nusa Dua’s Jakarta sales office. Prior to that, she worked at a number of reputable hotels such as Radison Hotel Jakarta, Aston Hotel Jakarta, and Novotel Nusa Dua Bali. Born in West Java, Jakarta, she is a graduate of BPLP Bandung majoring hotel management and of Dwipa Wacana University in majoring management. With her strong background in reservations, front office and sales she will be a valuable asset to Le Meridian Nirvana Golf and Spa Resort. As the sales representative in Jakarta, she will be based at Le Meridian Jakarta Hotel. 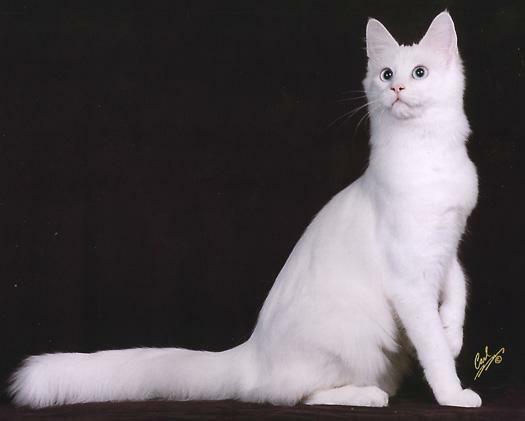 Tomkin is another my beautiful white Angoran cat. It walks with pride and grace, performing a dance of disdain as he slowly lifts and lowers each paw with the delicacy of a ballet dancer. His pride, however, does not extend to his appearance, for he spends most of his time indoors watching television and growing fat. It enjoys movie in Television , especially chanel those for animal chanel and cinemas 24. almost every day of my cat zedva Always watch television, after the feed and Sometimes he ate while watching television. Tomkin is as finicky about visitors as he is about what he eats, befriending some and repelling others. He may snuggle up against your ankle, begging to be petted, or he may imitate a skunk and stain your favorite trousers. Tomkin does not do this to establish his territory, as many cat experts think, but to humiliate me because he is jealous of my friends. After my guests have fled, I look at the old fleabag snoozing and smiling to himself in front of the television set, and I have to forgive it for his obnoxious, but endearing, habits.